On 5th October 2014, Drake took a short swim in the lake in Lindon Harbor, Utah. Drake was a black Labrador retriever. Like most dogs, he loved to play in the water. After the swim, Drake started vomiting and became lethargic. Shortly after that, Drake died. “[D]og deaths have emerged as an unfortunate early warning…” An early warning of what? Recent dog deaths have pointed to one suspect: pond scum – or more specifically – harmful algal blooms. Some algae produce toxins that have been linked to the deaths of cattle, elks, fishes, and even endangered species such as sea otters. These toxins can also bioaccumulate in shellfish and oysters. Eat enough seafood seasoned with these toxins, and you are at risk too. What’s causing these algal blooms? Natural waters contain small amounts of nutrients (mostly nitrate and phosphate). Under normal conditions, planktons and algae grow using these nutrients, fish feed on the plankton, and things are in balance. But excess nutrients in the water can skew the balance in favour of the algae, allowing them to spread unchecked like weeds. Even if they don’t produce toxins the algae block light as they sun themselves on the water surface. These harmful algal blooms alter marine and freshwater habitats, smothering other forms of aquatic life. This map gives an idea of how bad the situation has become. Why are nutrient concentrations increasing? 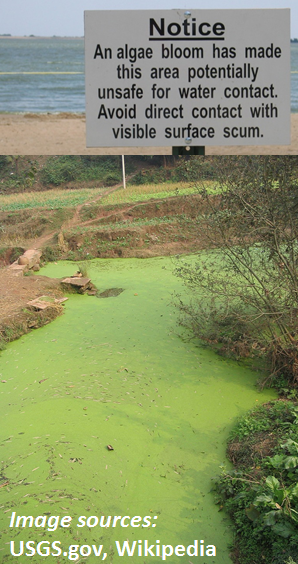 Excess nutrients enter the water when rain washes fertilizers from agricultural land into the nearby water bodies. Other major sources of nutrients are industrial and domestic wastewater. In short, the blame falls squarely on us humans – me and you. It is our mess and we have to clean it. Researchers have been actively developing more efficient ways for removing nutrients from drinking water and wastewater. In a recent article, Lalley et al. 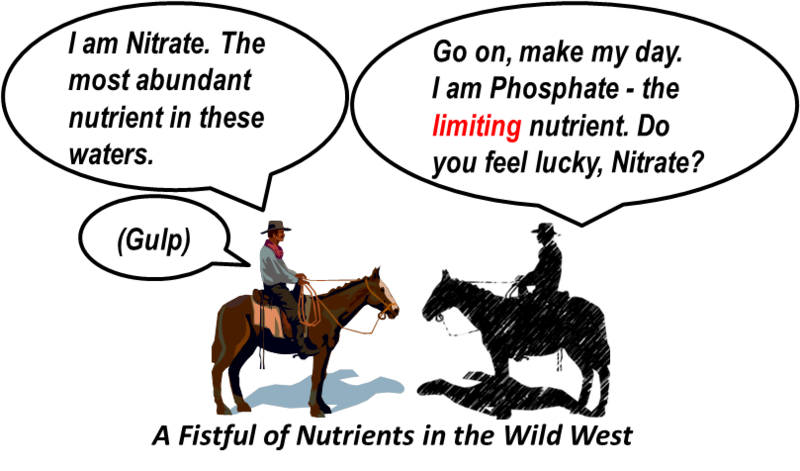 reported a novel method for removing phosphate (a growth-limiting nutrient). The authors present clever modifications of an absorptive medium (originally developed for removing arsenic from water) using silver and manganese nanoparticles. One of these modifications involves tea extract. Paramjeet Pati is a PhD Candidate at the Virginia Tech Center for Sustainable Nanotechnology (@VTSuN). You can find more articles by him in the VTSuN blog, where he writes using the name coffeemug.